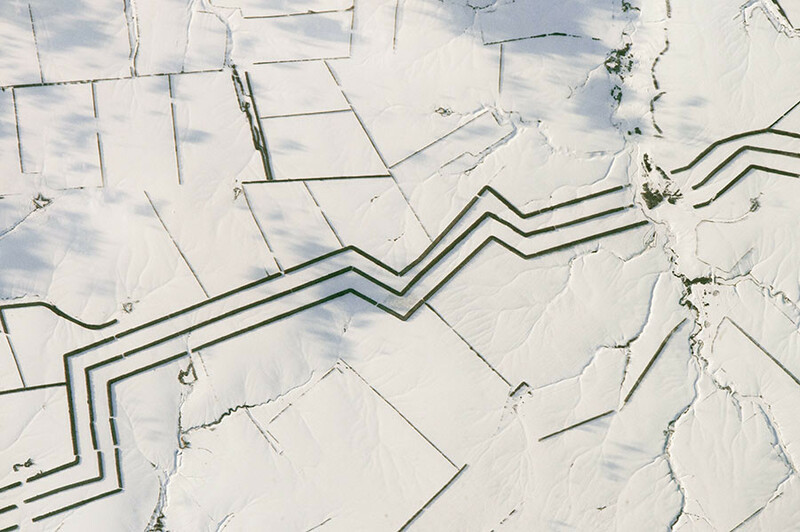 A bizarre image of a snowy Russian landscape covered with dark, angular lines stretching for miles, taken by ISS astronaut Thomas Pesquet, left the Frenchman baffled as he shared the enigmatic snap online. 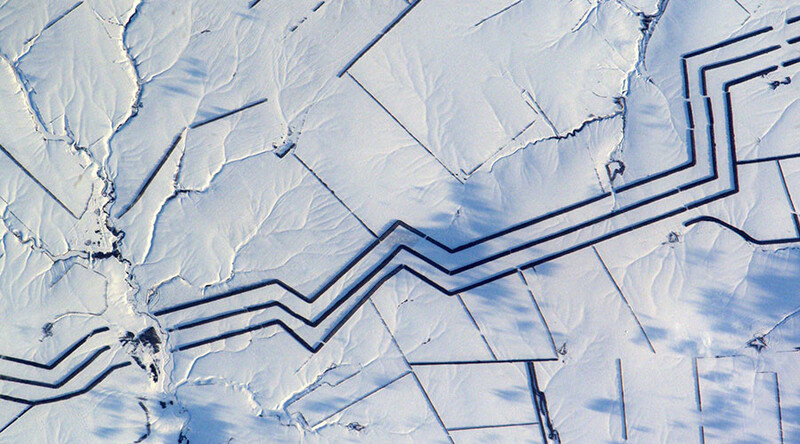 Pesquet posted the image he captured from the International Space Station to Twitter, describing the picture as “minimalist snow art,” but adding he could not explain the unusual feature. Suggestions poured in from the Twitterati with the majority guessing it was as a result of oil or gas pipelines while others shared more creative explanations. @Thom_astro@esa Oil and or Gas pipelines? @Thom_astro@esa Is it some kind of code from Putin to Trump? The astronaut was not content to leave the “enigmatic” sighting as a mystery, however, and reached out to NASA to shed some light on it. NASA identified the region as a major shelterbelt crossing the steppes of southern Russia near the Volga River (the Volgograd Region). The shelterbelt, a line of trees planted to protect crops and reduce the erosion of steppe soils by wind, covers 14 kilometers of land, according to NASA.